It was Daniel Grun who took the initiative in setting up the International Comic Book Festival in Contern, as it was he who, in 1994, managed to persuade both the Commission for Culture and the Council of Mayors and Aldermen to enable this project to go ahead. course, getting the project off the ground was difficult – organising a Festival on such a scale involves a lot of work, however, thanks to Daniel Grun’s enthusiasm and many skills, a hundred or so volunteers rallied round the cause. Any lack of experience in this area did not stop them from running what was the first Cartoon Festival both for Luxembourg and the Greater Region. the years have gone by, the Festival has become increasingly well-known and popular. Each year, we are honoured to welcome around fifty comic book authors. Our visitors are able to discover (and rediscover) their favourite author’s works, which are available for sale in Contern Sports Centre. These comic book fans have bags of patience while they queue up to get their favourite author to sign their book. Outside the centre are dealers selling not only works sought by collectors, but also cult comic book items such as figurines, posters and signed original illustrations. During the Festival weekend, the village is closed to road traffic which means our visitors can stroll around the streets and enjoy soaking up the convivial atmosphere which our volunteers work so hard to create. 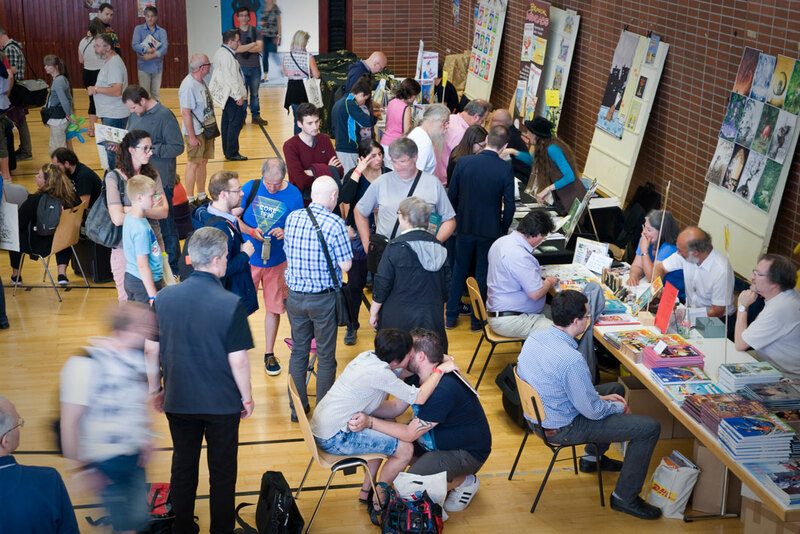 are very proud to see how our International Comic Book Festival in Contern has gained a reputation extending well beyond our borders. Abroad, Contern is referred to as the “Comic Book Village”. The increase in visitor numbers from year to year spurs us on to keep developing the Festival so as to ensure it is a great success and to promote the 9th Art, the art of Comic Books. We aim to do everything we possibly can to make sure that every visitor – whether young or old, collector or enthusiast, author or dealer – will thoroughly enjoy this convivial weekend in our village close to the City of Luxembourg. 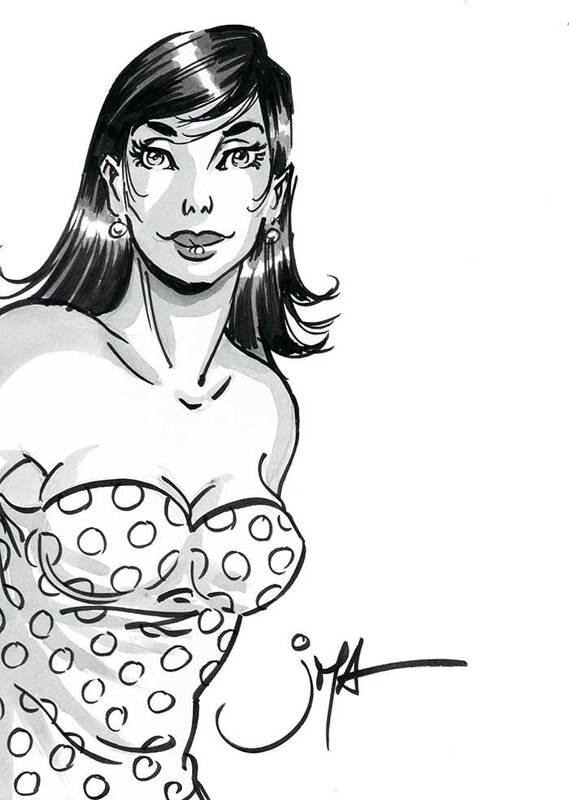 The Festival welcomes national and international comic book authors who find their way to the village of Contern each year, to come and present their latest works to comic book fans during book signing sessions. Throughout the weekend, our visitors can meet them in Contern’s former Sports Centre. Second-hand comic book dealers come here from neighbouring countries and indeed some have been coming since 1994! This means that visitors can find that must-have comic book which they grew up reading as a child, or uncover the volume they’ve been hunting for high and low. 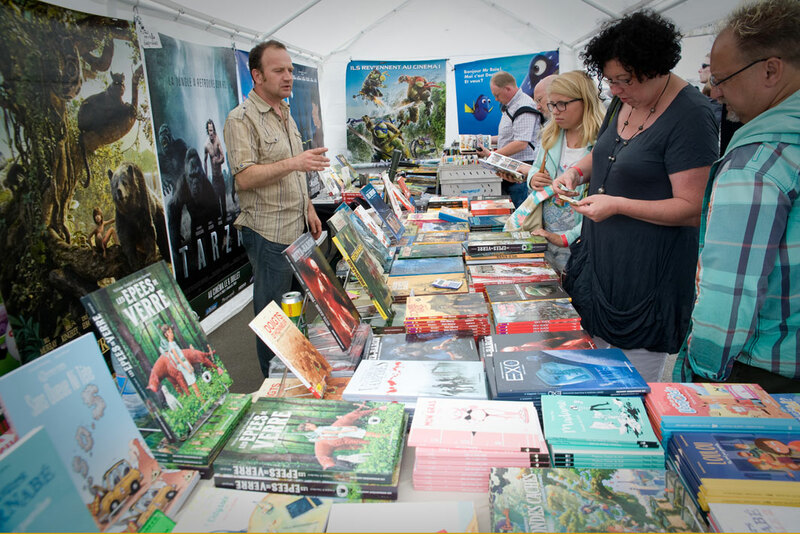 Every year, around 80 dealers register to take part in the Festival and exhibit their comic book collections. 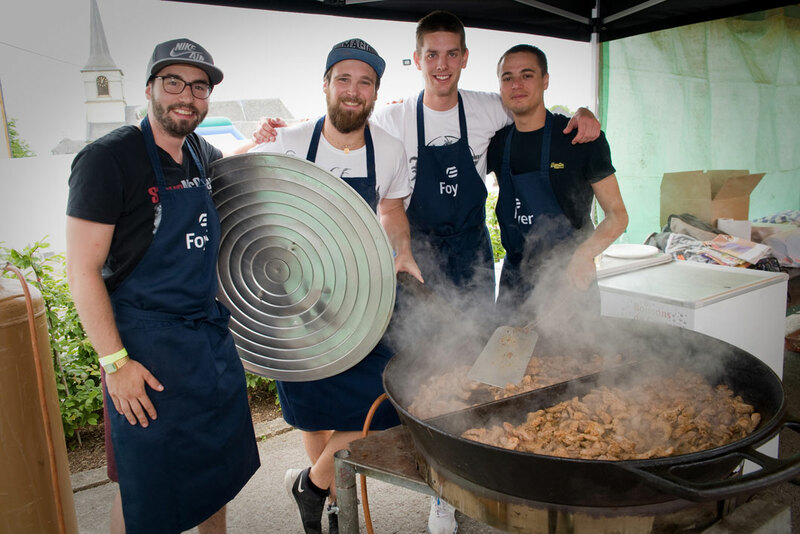 Over the weekend, local associations from Contern are involved with the Festival and provide catering so that comic book fans and families can enjoy a really great time here. As well as running the various catering stands, the clubs and associations from Contern and the local area put on entertainment in the village, and in particular this includes programmed concerts. 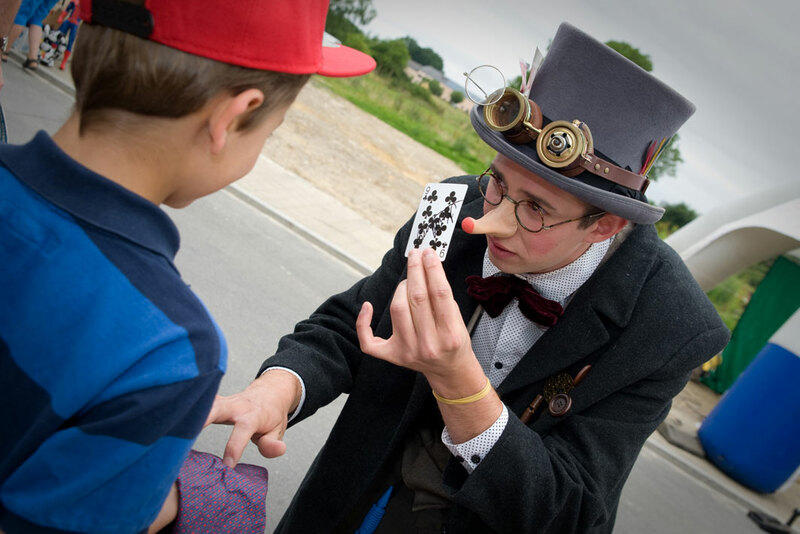 As the Festival is also a family event, many activities are organised for children of all ages.